Cool! Is the word we use for this belt. 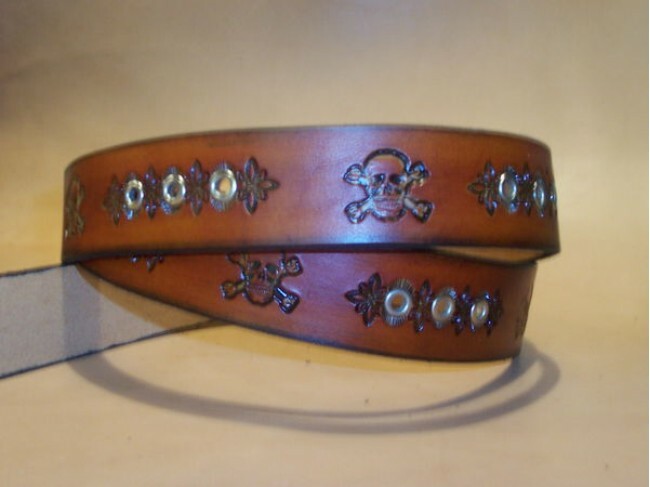 Skull and Crossbones surrounded by silver eyelets. Shown in 1 1/2" Dark Brown.